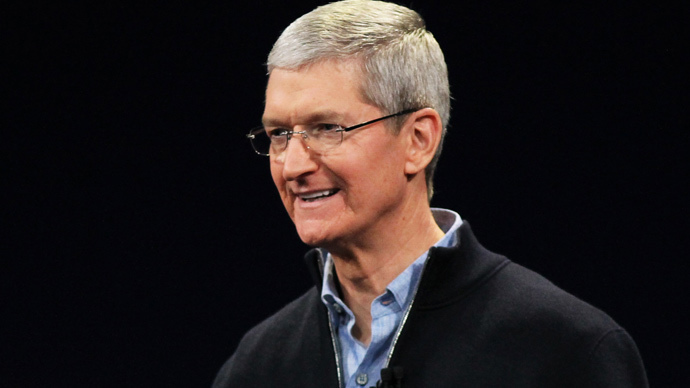 Apple’s Chief Executive Tim Cook will be joining a number of other high-profile CEOs in donating his fortune to various charities. Cook told Fortune Magazine he plans to donate the entire $785 million fortune before he dies, minus the educational costs for his 10-year-old nephew. “You want to be the pebble in the pond that creates the ripple for change,” he said. Apple’s CEO is known to have supported causes like stopping AIDS, promoting human rights, immigration reform and climate change. According to Cook, he has already begun donating quietly, indicating that he wants to follow a more “systematic approach” to charity, rather than simply giving money away. He has donated $50 million to Stanford hospitals in 2012 and another $50 million to Product Red, a charity that focuses on fighting AIDS as well as tuberculosis and malaria, the Verge reported. Cook is estimated to be holding about $120 million worth of Apple stock and another $665 million worth of restricted stock. He is joining the trend of other executives who have dedicated their fortunes to charities. ‘Giving Pledge’ was launched in 2010 by Warren Buffett and Microsoft co-founder Bill Gates, urging billionaires to donate at least 50 percent of their fortunes. Individuals like Tesla Chief Executive Elon Musk, New York ex-Mayor Michael Bloomberg, Facebook boss Mark Zuckerberg and eBay founder Pierre Omidyar have all signed up.